In 1907, writes A.W. Palmer, two empires that had three times been on the verge of war in the preceding thirty years reached a hopeful accommodation. The early life of the “Father of History” was dominated by the clash between East and West—Persia and Greece. Russell Meiggs finds that his story of the Great War is part tragic drama, part folk-tale and part travel-book, but is informed throughout by the desire to verify and by rational curiosity. 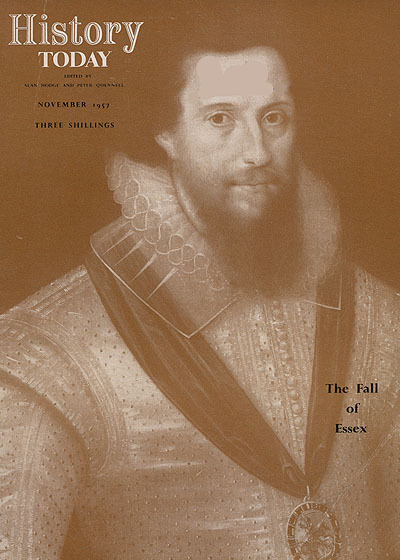 Penry Williams describes how, in February 1601, Essex and his discontented faction at court attempted a coup which ended in dismal failure.